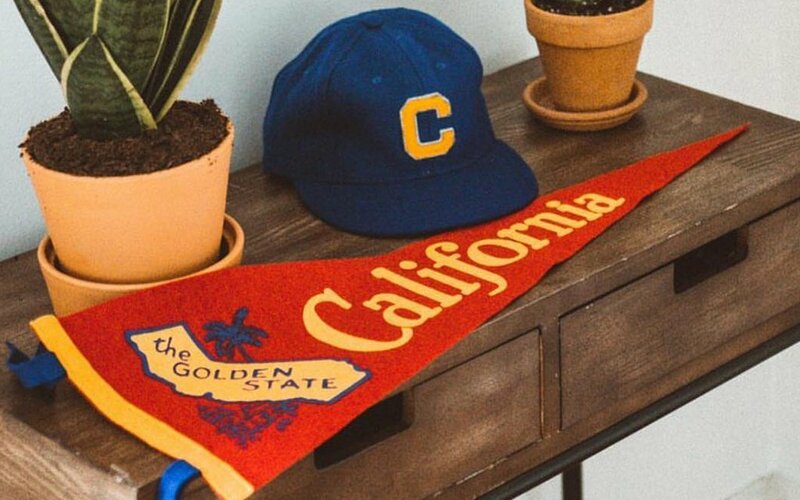 Somewhere along the line, the humble pennant and its big cousin, the banner, threw their lot in with American high schools. Sure, you’ll still see ‘em flapping at the ballpark, or hung in one of those sports bars stacked floor to ceiling with dusty relics from yesteryear. But largely, they sit in gym rafters or a guidance counselor’s office, like washed-out academic wallpaper that doesn’t merit a second thought. And, well … that’s a mistake. Pennants and banners done right can say much more than “COLLEGE,” and offer way more in sentiment than a felt trophy. They’re a refreshing respite from the print-and-frame world — all the more so because there isn’t a need for a whole (costly) hallway of them — and add a finishing touch to your apartment/home/rec room/garage/barbershop you had no clue you needed. 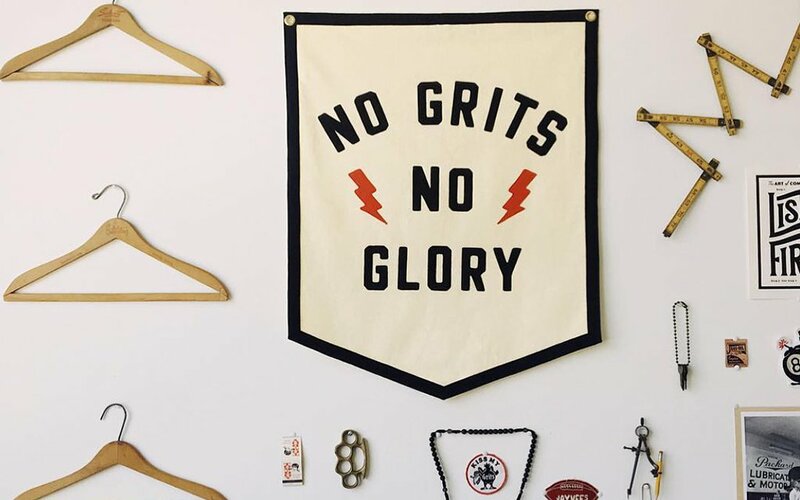 Enter Buffalo outpost Oxford Pennant, designer and manufacturer of cheeky, wool felt pennants, flags and championship banners. Founders Dave Horesh and Brett Mikoll actually created the company out of necessity. Looking for banners that might mimic the felt designs of the early 20th century, they came up empty and realized they’d have to make their own. After stitching a few for friends who owned shops (and posting a few Instagrams), the requests just kept coming. 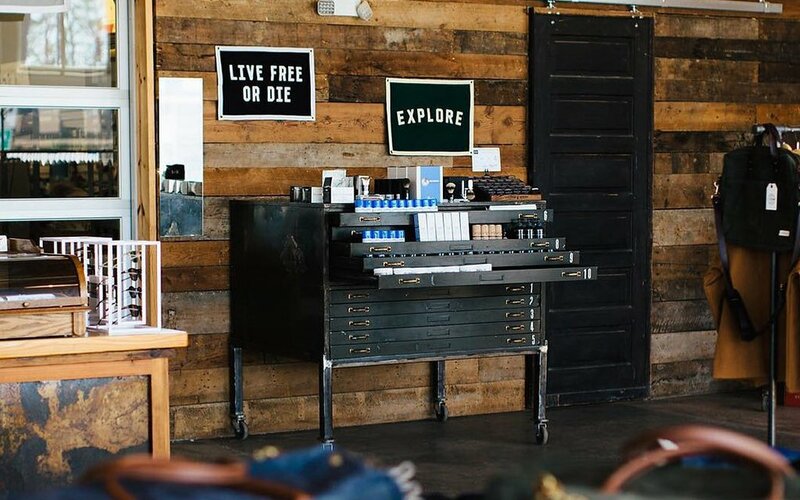 Oxford remained an ever-reinvesting side hustle in those early days; Dave and Brett barnstormed trade shows and pop-ups to get their name out there. Now the business employs eight out of an HQ on literal Main Street in downtown Buffalo. Buffalo remains at the heart of Oxford Pennant. Dave points to “hundreds of examples of Buffalonians who broke doors open for us and fought hard to bring Oxford Pennant in to an event, store or project.” That mindfulness permeates the products, too, which are constructed thoughtfully from soft, supple wool felt (none of that synthetic stuff here, folks) and stitched purposefully by the hands of Oxford sewers. 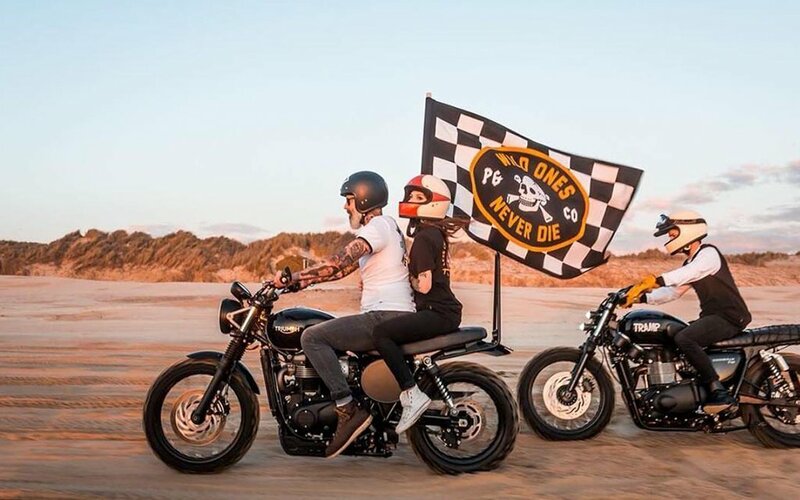 They’re also, in a word, rad. Dave and Brett capture the turn-of-the-last-century look they were originally seeking, yet manage to blend it with out-there designs and malapert mantras that elevate the whole concept. 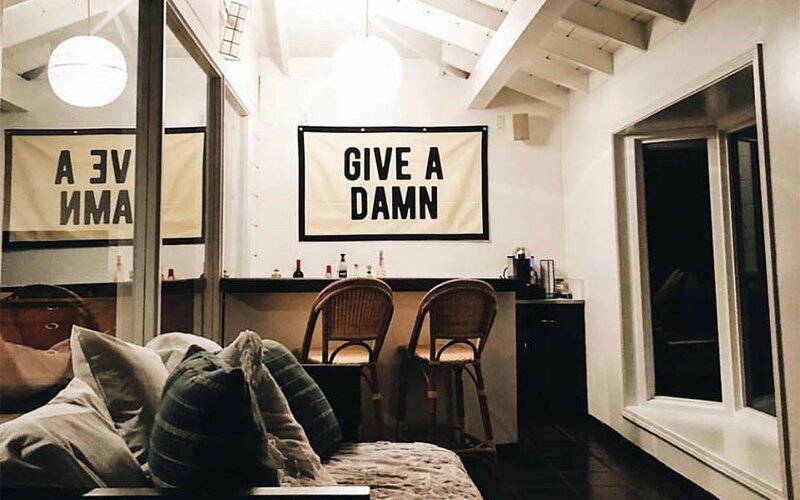 From travel pennants celebrating our states and cities to flags that simply read “Give A Damn”, it all works, and works well. And for the hard to please or particularly inspired, Oxford is very much aboard the runaway custom train. If you can think of it, they’ll make it. Just check out their exhaustive work here. Below, some of our favorites from their permanent collection. Those retro airline posters have been done to death. 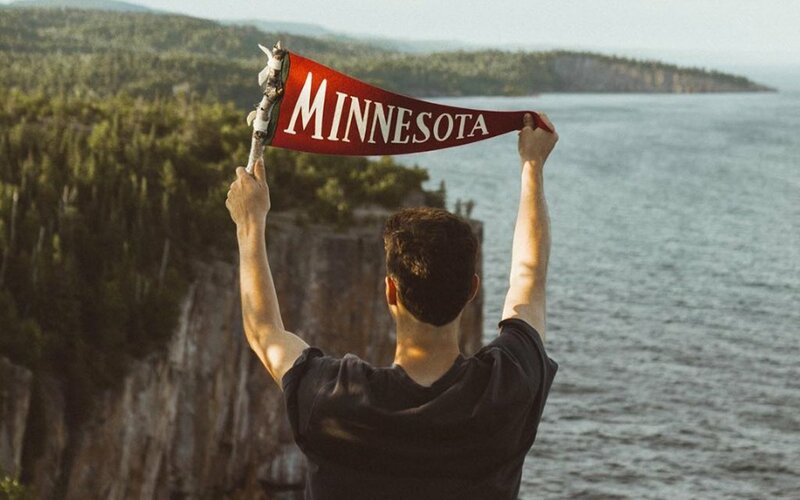 Opt instead for one of Oxford’s travel pennants, offered for cities from Rochester to Phoenix, and quite a few in between. It’s an understated homage to places lived or visited at a dangerously accessible price. Meet the statement banner. Every one of them will elicit “Where’d you get that”s when guests are over, and that’s precisely the point. We like the “Raise Hell, Kid” if we had to pick. Follow the “Request Custom Order” option through the link below and go wild. Seriously. Oxford is ready and eager to engage your pennant and banner dreams. And they do one-offs! Post a pic when it arrives (expect the process to take two-four weeks) and tag both Oxford Pennant and us so we can see the result.